I made these for my lovely friend Brett’s Birthday. They were a hit. The recipe it only for about 6 cupcakes. It was more of a lack of ingredients at the time, but it worked out. We didn’t stuff our faces silly as a result. In a bowl, mix the cupcake batter. Soften butter by throwing it in the microwave for a bit, add beer, sugar, vanilla and salt. Mix well. 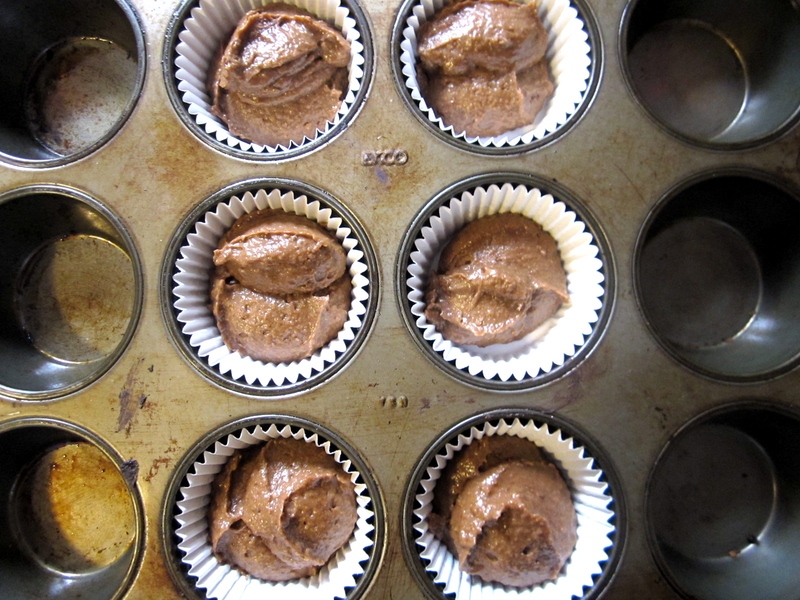 Finally, divvy up batter into 6 cupcake liners. 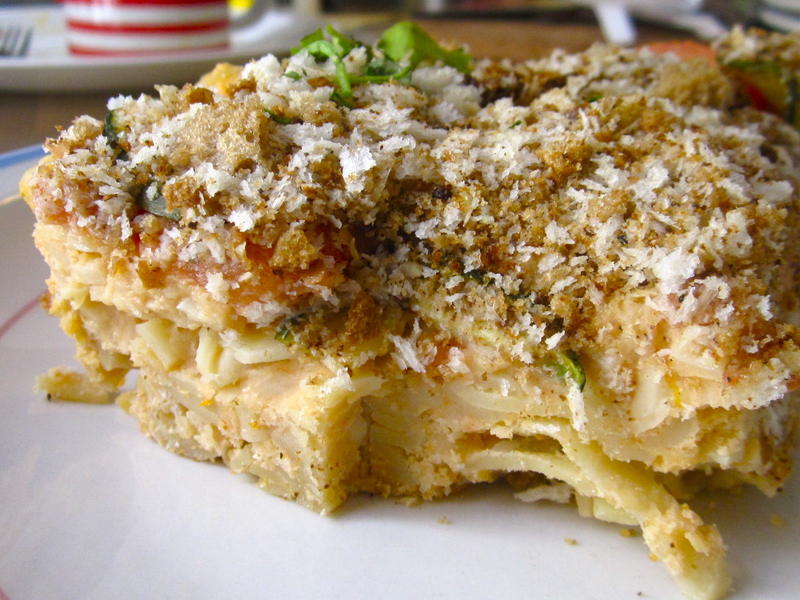 Bake for about 20-30 minutes. 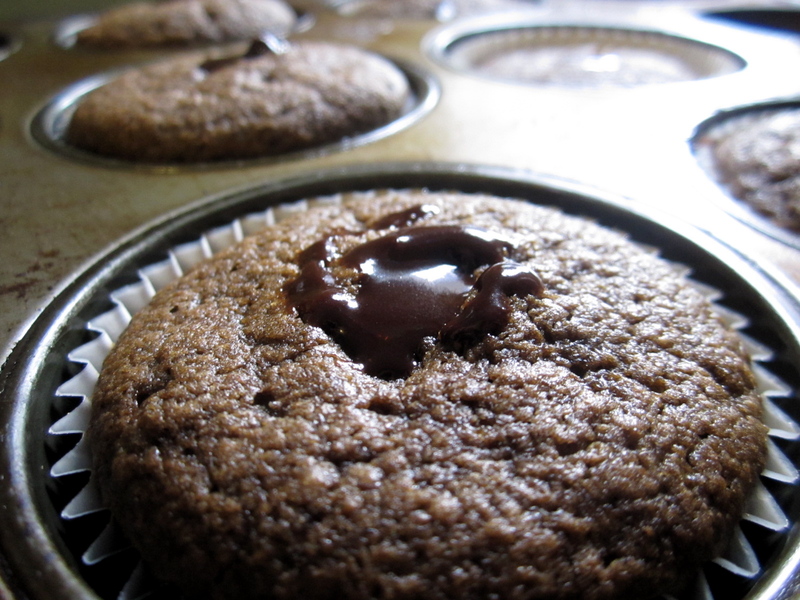 As they are baking, make your ganache that will go inside the cupcake. 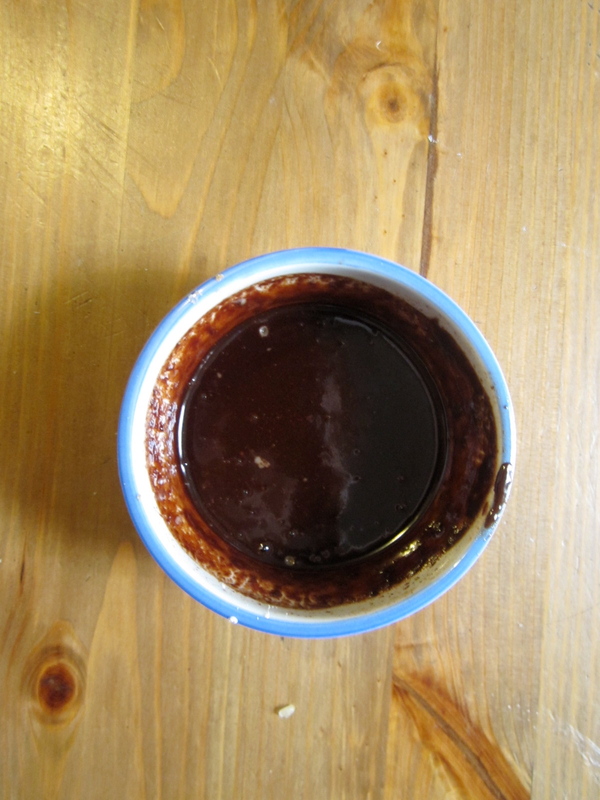 With a funnel or a very steady hand, pour the ganache into the wholes of the cupcakes. Then, whip up the ingredients for the cream cheese frosting in a hand mixer. 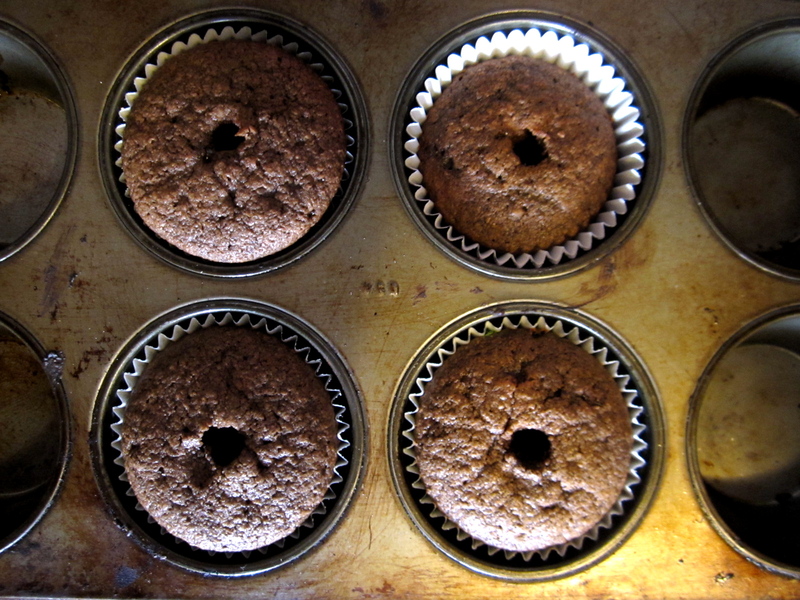 After the cupcakes have cooled, remove them from the baking pan. 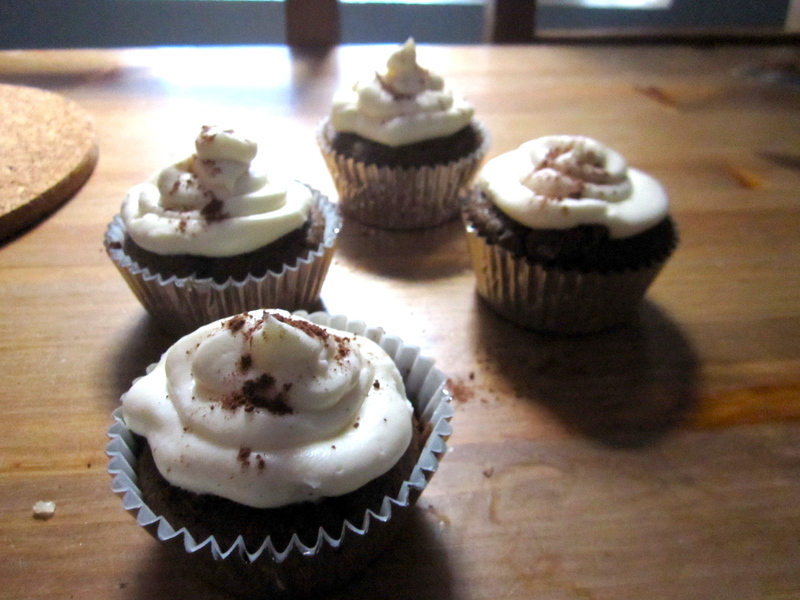 I put my frosting in a plastic bag, cut a tip from one end, and dressed the cupcakes with a twist. Followed by a small sprinkling of cocoa powder. Enjoy!